John Lennon famously professed his fandom in Rolling Stone, and the Washington Post chronicled the moment writing, “Forty years ago ‘Rock Lobster’ launched the B-52s career – and revived John Lennon’s.” Meanwhile, Madonna, James Murphy, Michael Stipe, Dave Grohl, and many others espoused similar adoration throughout the years. Casting a wide net, Panic! At The Disco, Blood Orange, The Offspring, Pitbull, Roger Sanchez, and DJ Shadow sampled classics from the band’s discography. Seth MacFarlane’s Family Guy, The Simpsons, and more offered up covers of their own, while Sugarland joined the legends for a rousing rendition of “Love Shack” at the CMT Awards. Known for intergalactic micro-dresses long before they became high fashion, Yahoo! dubbed Pierson, “The original Katy Perry,” while it certainly wouldn’t be a stretch to trace the “Beehive”—which Pierson and Wilson pioneered—to Nicki Minaj and other modern style icons. Countless music critics have lauded Schneider as having one of the most distinctive voices in rock. 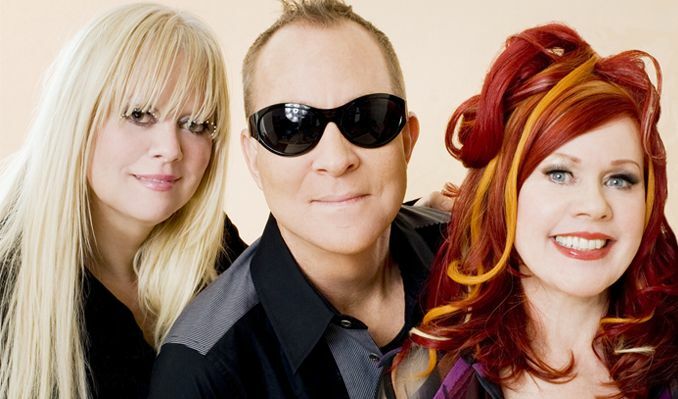 After a 16-year hiatus, The B-52’s proved as bright, bold, and boundless as ever on 2008’s Funplex. Fitting comfortably among a truly iconic discography, it bowed at #11 on the Billboard Top 200. The renaissance continued in 2011 at the sold-out Classic Center in Athens, GA. Celebrating the 34th anniversary, fans dropped in from far and wide for what became a landmark gig chronicled on the live album and video release, With The Wild Crowd! Live in Athens, GA. The momentum only ramped up when they roamed on tour alongside Tears for Fears, Blondie, Simple Minds, The English Beat, and The Psychedelic Furs in 2015 through 2017. The 21st century takeover showed no signs of slowing or stopping with appearances on Portlandia and RuPaul’s Drag Race. Upholding a tradition of social activism, they stand in staunch support of numerous initiatives and causes such as AIDS service, LGBTQ Rights, PETA, the Student Conservation Association, Planned Parenthood, and more.